Attendance is free! Please register for your free tickets here. Signing up for a ticket will help us to gauge how many people will be coming and will help us plan our exhibits and interactive displays so that we will have enough materials for everyone to take part and enjoy. What day(s) and hour(s) will the Mercer Bucks Mini Maker Faire be open to the public? Sunday, April 14 from 10:00 a.m. until 2:00 p.m.
Come to Pennington's main entrance on 112 West Delaware Avenue and you will be directed to parking spaces. Handicap parking spots are available in all of our parking lots. Yes! There will be food available for purchase on campus, and restaurants in the town of Pennington are just a five-minute walk away from the Faire. Mercer Bucks Mini Maker Faire is independently organized and operated under license from Maker Media, Inc. The original Maker Faire event was held in San Mateo, CA and in 2016 celebrated its eleventh annual show with some 1300 makers and 150,000 people in attendance. World Maker Faire New York, the other flagship event, has grown in five years to 900+ makers and 90,000 attendees. Thirty-one larger scale Maker Faires occur in cities around the world—Detroit, Atlanta, Berlin, Paris, Rome, Tokyo, and Shenzhen to name a few— and over 150 community-driven, independently organized Mini Maker Faires are now being produced in the United States and in 34 other countries around the world. 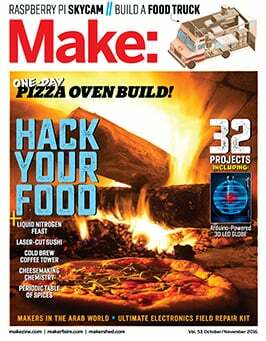 Make: is the first magazine devoted entirely to Do-It-Yourself (DIY) technology projects. Make: unites, inspires, informs, and entertains a growing community of resourceful people who undertake amazing projects in their backyards, basements, and garages. Make: celebrates your right to tweak, hack, and bend any technology to your will. Download a free issue here. a publisher of best-in-category titles via Make: Books, including introductions to electronics, Raspberry Pi, 3D printing, Arduino and more.